It’s been nearly a year since I first told you about Payette Brewing Company‘s arrival in Seattle. Hailing from Boise, Idaho, Payette was founded by Idaho native Mike Francis – a graduate of the Siebel Institute of Brewing and a former brewer for Schooner Exact Brewing Company here in Seattle. Payette introduced themselves to the Seattle market with their Rustler IPA, North Fork Lager, Rodeo Rye, Pistolero Porter and 12 Gauge Imperial Stout. They were warmly received with events at various locations throughout the city, including Toronado and The Sixgill. Now, they’re back to announce that their Recoil IPA has joined their year-round lineup and is now arriving in cans. The New Year brings new beer. Payette Brewing Company is excited to announce their release of an additional beer to their year-round lineup, Recoil India Pale Ale in cans January 2017. Recoil IPA is a returning favorite of Payette Brewing, however previously available for a limited time on draft only. Just like a recoil, the backward momentum after a gun is fired, this beer is back! This time, with a brighter hop blend, firm bitterness and incredible aroma, all packed in a twelve ounce can available in six-packs year-round. Recoil IPA is brewed with generous amounts of Calypso, Citra, Eureka and Mosaic hops landing at 80 IBU and 6.5% ABV. Tantalizing, flavorful and refreshing, Recoil’s addition to Payette Brewing’s year-round lineup is the perfect way to kick off 2017. Recoil IPA is now available on draft and in twelve ounce canned six-packs at Payette Brewing, select bars, restaurants and retail stores in Idaho, Montana, Oregon, Washington, Wyoming and Nevada. Founded in Boise, ID by Michael Francis in 2010, Payette Brewing Company is proud to be Idaho’s largest brewery. The brewery currently runs a 60-barrel brewing system and offers six year-round beers, seasonal releases, various beers in the Ales of No Return series and limited bottle series. Payette opened their second production facility in Downtown Boise in June of 2016. 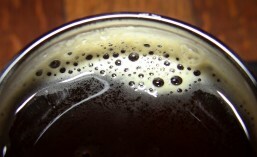 Beer fans are encouraged to follow Payette’s social media for the latest updates or visit www.PayetteBrewing.com. Since Recoil was previously available on draft only, it’s likely that very few people from Seattle have tried it. Well, the wait is over. Look for Recoil IPA in cans at your local craft beer retailer, starting this month. Also, because just one new beer release is never enough, Payette Brewing is also pleased to announce their newest Seasonal offering: High Side American Wheat Ale. High Side is Payette’s newest Winter Seasonal, and will be available now through March. Seasons change and so do our taste buds. In this case, with something completely new to Payette Brewing and an exciting transition to their seasonal rotation. January 2017, Payette Brewing Company released a new Seasonal, High Side American Wheat Ale, in six-packs, twelve-packs and on tap for a limited time. Adventure seekers and beer drinkers alike can appreciate a well-rounded refreshing beer, especially when conveniently available in twelve-ounce cans. Crystal and Sorachi Ace hops complement the malted wheat backbone giving this American Wheat Ale a splash of flavor! High Side is crisp and refreshing, making it sessionable for any on, off and sometimes in river adventure. High Side is loaded with malted white wheat, but the addition of Pale and Pilsner malts give it well-rounded flavor. High Side is lower on the IBU, landing at 25, but the hop profile is perfect. At 5.3% ABV, it’s perfectly acceptable to enjoy a few fresh off the tap or on any outdoor excursions. High Side Wheat is now available on draft and in twelve ounce canned six-packs and twelve-packs at Payette Brewing, select bars, restaurants and retail stores in Idaho, Montana, Oregon, Washington, Wyoming and Nevada January through March. Like Recoil IPA, High Side American Wheat Ale is available now at your local craft beer retailer. Pick up a six pack or two of each to help get you through the Winter. This entry was posted in Ale, Beer, Beer Ingredients, Beer Labels, Beer Release, Boise, Bottle Shops, Brewing, Canning, Cans, Craft Brewery, Distribution, Draft, Hops, Idaho, Idaho Beer, IPA, New Release, Seasonals, Seattle, Tasting, Washington, Wheat Ale, Winter, Year Round and tagged 2017, beer, Beer Release, IPA, January, Payette Brewing Company, seasonal, seattle, Wheat Ale, Winter. Bookmark the permalink.